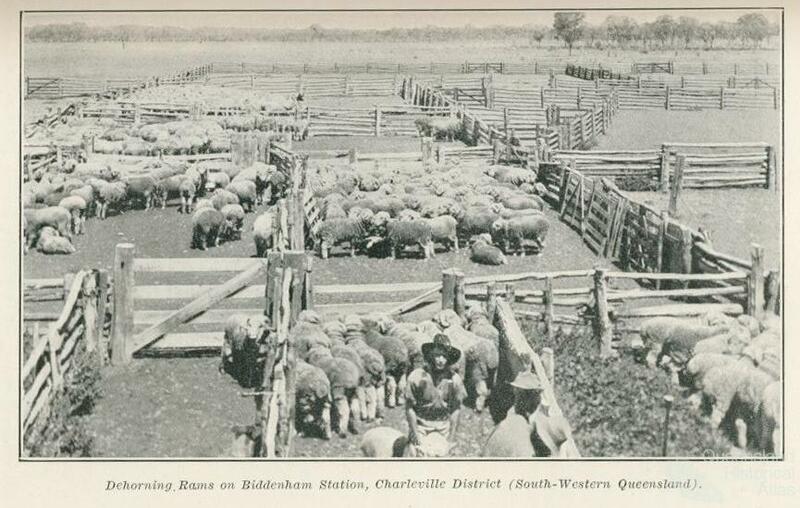 After two decades of land seizure and frontier bloodshed, by 1859 the pastoral grazing of sheep and cattle had completely transformed at least a quarter of the land use in Queensland and had become the cornerstone of the colonial economy. Three and a half million sheep and some 500,000 cattle grazed across a quarter of the colony’s land mass, and pastoral concerns generated 70 per cent of revenue and over 90 per cent of exports. 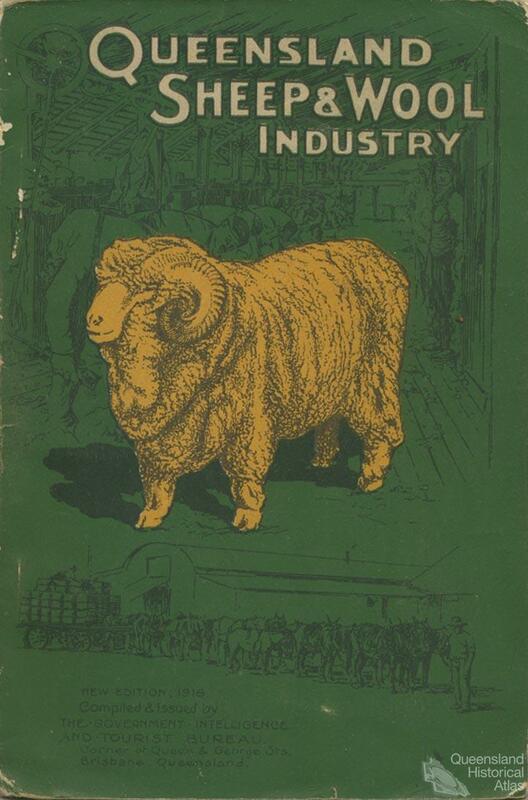 ‘Wool, tallow, and hides are the great staple products of our colony’, observed the Brisbane Courier in 1861. ‘Upon the successful working of the princely properties on which this produce is raised depends...the growth and stability of the wealth of the country’. Through the brigalow and mulga scrubs, dense and forbidding, over mountain ranges, stony and steep, across flooded rivers, and over or around all obstacles, the pioneers still moved on and took up and occupied runs. Westward to the Maranoa and Warrego, and northward by the Fitzroy to the Burdekin and Flinders River... their mission was carried on, to fill the land with the outposts of civilisation. In 1860 the ‘princely properties’ of the squatters were set for a boom era. Generous land regulations introduced that year permitted one-year licenses on properties or ‘runs’ of one hundred square miles and fourteen-year leases as long as the run was promptly stocked to a quarter of its capacity. 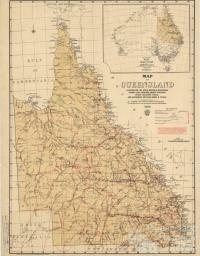 By the end of that decade only Cape York Peninsula and the far west were unoccupied. Much of the expansion was driven by Victorian wealth re-invested in Queensland pastoral properties. But with the economic downturn of 1866, commercial uncertainty and the flow of capital drying up, many squatters went bust. As Palmer saw it in 1903, pastoral expansion ‘was instantly checked, and the outward flow of civilisation turned backwards’. Thereafter four fundamental changes consolidated the industry in the course of the 1870s and 1880s. On the land, cheap wire fencing constrained herds and thus reduced the need for shepherds, while the tapping of artesian water after 1880 reduced reliance on fickle creeks and billabongs. The extension of railways permitted stock to be trucked to processing works on the coast and more efficient despatch of the wool clip. Finally, the development of refrigeration technology after 1883 meant that shipments of beef and mutton could be made to overseas markets. Although initially beset by technical problems, freezing works for export put the Queensland cattle industry onto a lucrative and sustainable footing for the first time. 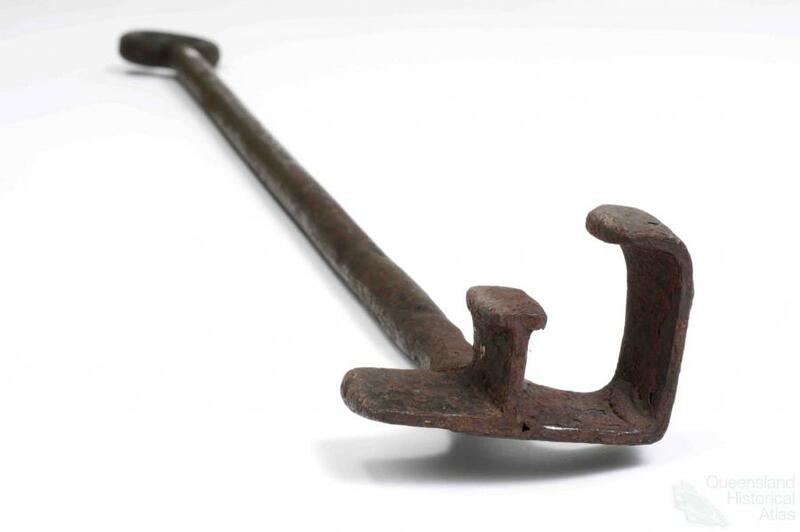 Pride in the grazing industry became a hallmark of Queensland identity. 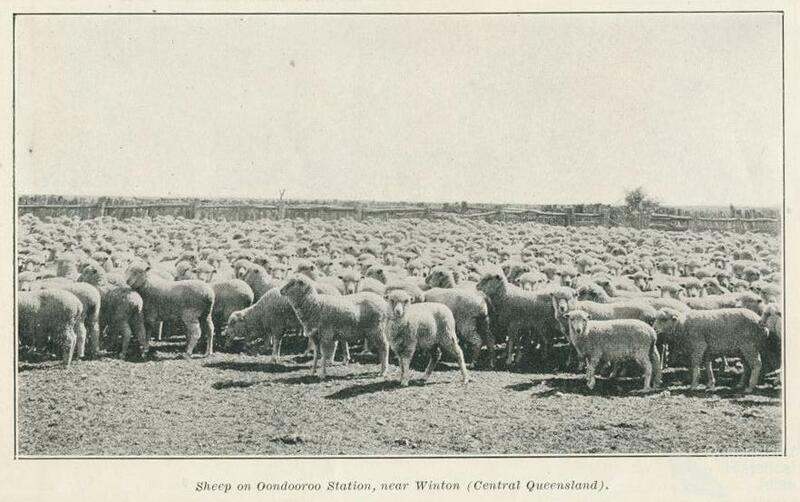 Sheep numbers peaked at an incredible 21 million by 1892, and cattle at seven million shortly afterwards, as most observers lauded the boundless potential of Queensland’s grazing country. Drought, dust-storms, strike action, economic depression and tick fever brought new challenges through the 1890s, but with Federation the pastoral character of the state’s inland districts was well-established. Artesian water seemed to guarantee pastoral prosperity, ‘whilst the origin of these subterranean stores is still somewhat of a mystery’, declared the Jubilee memorial volume in 1909, ‘they are apparently inexhaustible’. 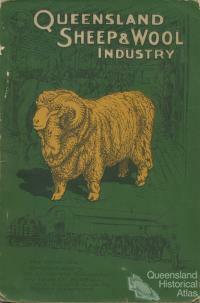 By 1913 the Government’s Intelligence and Tourist Bureau could describe the state as ‘the greatest cattle-raising country in the Commonwealth of Australia’, trumpeting that ‘her herds are the largest, her cattle stations are the most extensive, and the aggregation of her pastoral areas considerably exceed those in any of the other States’. 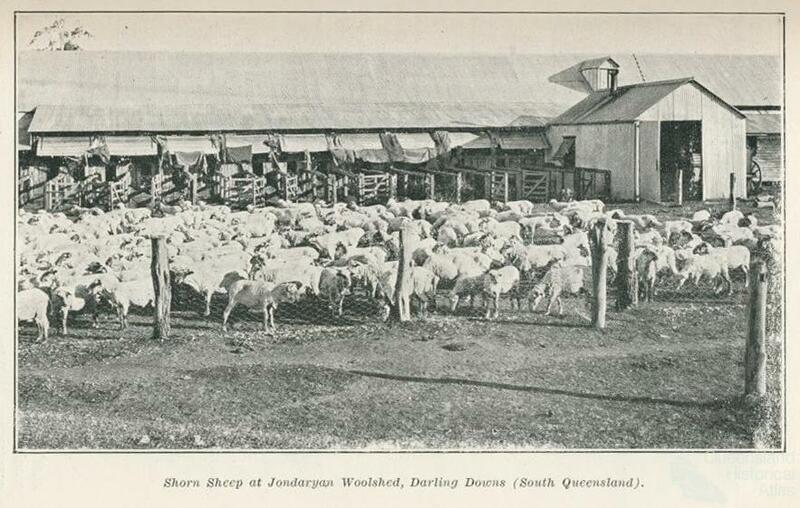 Queensland’s sheep and cattle properties covered a vast extent, especially in the north-west. 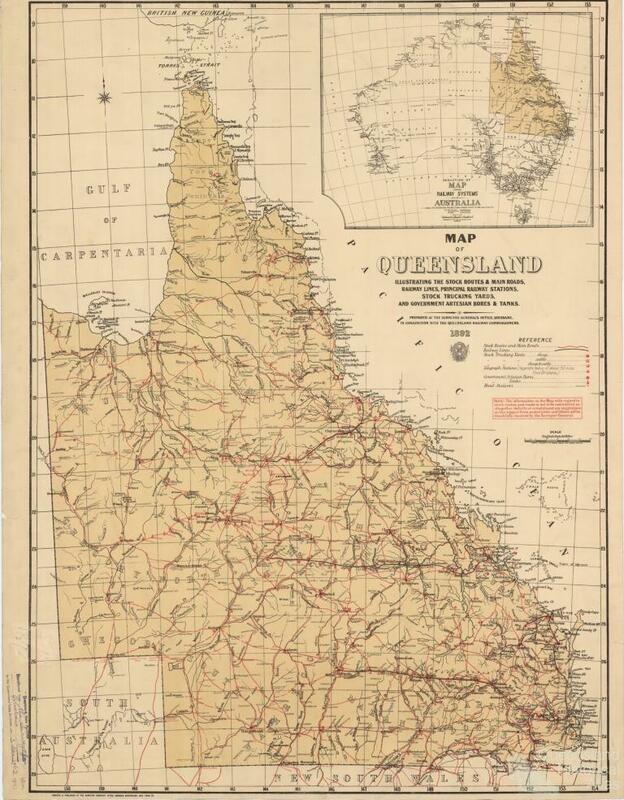 From Richmond to Cloncurry, reported the Intelligence and Tourist Bureau in 1913, ‘then out to Camooweal on the borders of the Northern Territory, and thence to Burketown, [the pastoral runs] range from 2,000 to 5,000 square miles, and carry from 10,000 to nearly 50,000 head of cattle’. ‘Warenda’ in the Gregory North district was the largest, followed by Dalgonally near Julia Creek, Millungera and Taldora in the Gulf, Fort Constantine near Cloncurry district and Lawn Hills in the Burke district. All ran 30,000 head of cattle or more; nearly 70 other stations ran between 10,000-30,000 each. Initially overland movements were haphazard and opportunistic, but in time railway routes to shift livestock, and gazetted water and camp reserves and stock routes, made them more certain. 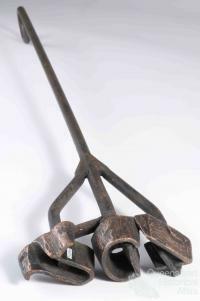 By the early 1880s, a network of these stock routes converged on railheads, where cattle were loaded for transport to abattoirs on the coast. Drovers led large mobs of cattle from the west of the state across great distances, some down to Bourke and from there to Sydney while others favoured Oodnadatta in South Australia, to be railed to Adelaide or Melbourne. When climatic conditions are favourable, grass and water plentiful, and the cattle contented, the lot of the drover and his stock-hands is, though of a strenuous nature at all periods of the trip, not without its attractive features. Taken on the whole, it is a very healthy occupation, and there is also a great deal of adventure attached to it.